Warm, slightly crispy, bite-size, soft pretzels flavored with the sweetness of honey and a savory hint of garlic. These babies melt in your mouth. Fortunately this recipe makes a large batch because you eat them before they make it to the plate. Forget about mall pretzels. They can't touch the delicious taste of these bites, and nothing beats eating them straight from the oven. You don't even need dipping sauce. Yes, they are that good. Bread recipes tend to seem intimidating. Let me tell you, they are not. The trick to bread is following the instructions and practicing patience. I have no patience, unless bread is the end result. 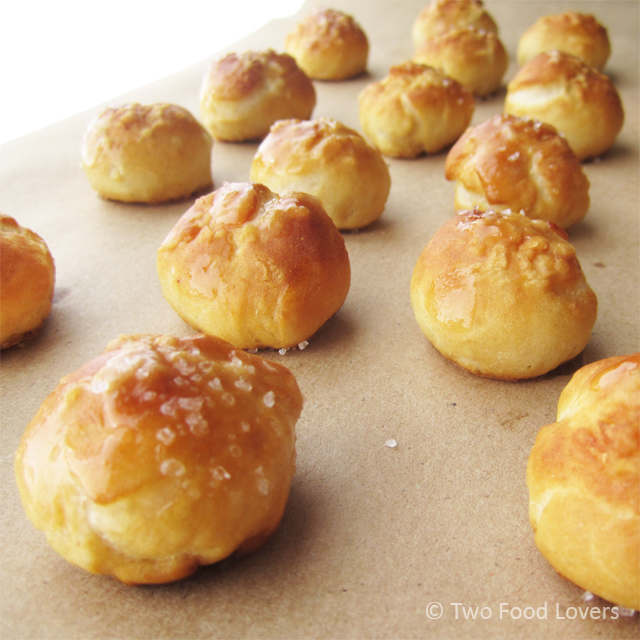 This pretzel recipe is one of the many that I have tried, and it is absolutely the best. Bake these for a football party, as an appetizer for a dinner party, or to chow down on all by yourself. You know we don't judge. We found they went really well with a creamy potato soup I whipped up the same night. Each bite has a slightly crispy bottom, and soft, chewy center. The butter and salt are all the topping you need. These little treats are perfect for baking on a cool fall or winter evening. *Do not boil or simmer in this step. Liquid should be about the temperature of a hot bath. I simply use my finger to test the temperature of the liquid. It should not burn, but feel hot. Step 2: Meanwhile, use a whisk to combine all-purpose flour and bread flour in a bowl. Stir well to ensure the flours are incorporated. Rinse and wipe out your saucepan. Return to burner; add the butter and garlic; cook over med-low heat for 2-3 minutes to melt the butter. The garlic should smell wonderfully fragrant. Remove from heat and set aside. *To grate garlic, use a microplane. I find it easiest to mince (almost pulverize) my garlic with a Slap Chop. Those things are great. Step 3: Attach the dough hook to your stand mixer. Add the flour mixture to the bowl with the blooming yeast (after it has rested 10-15 minutes). Give a quick stir by briefly turning mixer on low for a few seconds, and then add the melted butter and garlic. Turn mixer on medium and let the dough mix for about 5-7 minutes. The dough will start to pull away from the sides of the bowl, and the texture should be smooth and elastic. It will smell like heaven. Step 4: Remove dough from bowl; use hands to shape into a ball. Use cooking spray to lightly grease the bowl of your stand mixer, and return the dough to the bowl. Dampen a light tea towel with warm water and place over the top of the bowl. Set your bowl of dough in the 200°F oven. You can leave the oven on (this is what I do), or turn it off. Let the dough rise for about 30-40 minutes. You will know it is ready when it has grown in size. Step 5: Once dough has risen, remove from oven and turn oven to 425°F. Lightly flour a work surface, turn out the dough, and lightly knead. You shouldn’t need to do too much kneading. Your dough will be sticky at first and start to firm slightly. Do not over knead. If you are unsure, just give it a few good flips and tucks and call it good. Step 6: Cover two or three cookie sheets with parchment paper. Pinch off small bits of dough, about bite size, roll into a ball, and place on cookie sheets ½ to 1 inch apart. These will not grow so what you see is what you get. 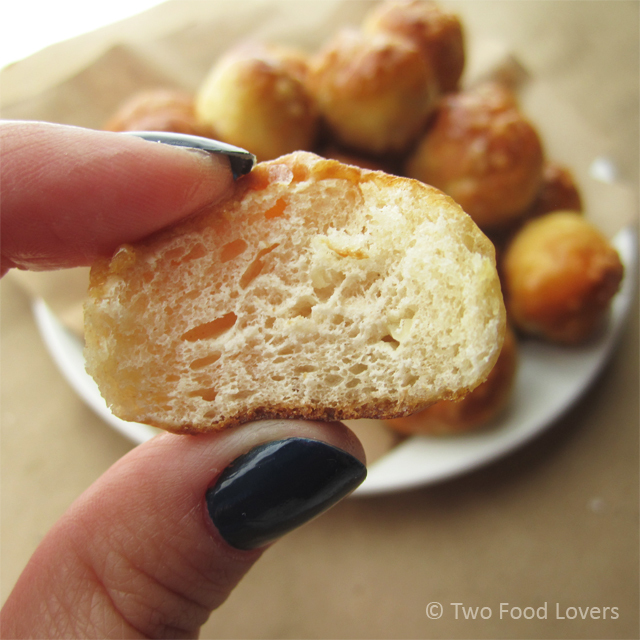 Approximately 1-inch size dough balls are great. Start by filling one entire cookie sheet, set it aside and continue to fill a second cookie sheet, etc. until all dough is rolled. Step 7: In a large bowl, add 3 cups hot water + 1/3 cup baking soda, whisk together to combine. 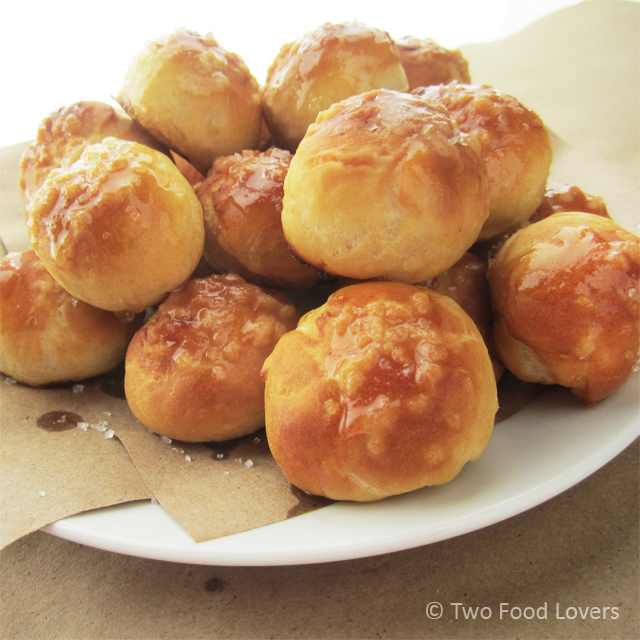 Grab the first cookie sheet of dough balls that you rolled and begin dunking them in the baking soda bath. You can do more than one at a time, but they don’t need to sit in the water long. Remove and let some of the water drip off before returning to the baking sheet. Lightly sprinkle each damp pretzel with sea salt. Ensure that your oven is heated to 425°F (I like to use an oven thermometer) and bake each cookie sheet for 8-10 minutes until golden brown. Continue the baking soda bath for the remaining pretzels and bake as instructed. Melt 3 tablespoons butter and brush each pretzel with butter. Serve warm. *If you have leftovers, avoid coating with butter before storing. Store in an airtight container for 2-4 days. Pop in a toaster oven (or traditional oven) to warm. This helps add the slight crisp back to the outside of the pretzel and the warmth brings out the flavor. Join us on Facebook or chat with us on Twitter. 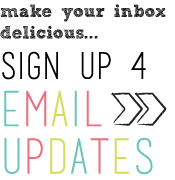 We would love to start getting to know each of you more!